It’s underestimated, underrated and simply receives less attention than its dark, milk and semi-sweet chocolate brethren. It’s essentially the “evil” twin as it isn’t actually chocolate but is simply a derivative of it solely consisting of cocoa butter, sugar and milk solids. The process of making it is a relatively simple process as the manufacturing process involves the separating of the above-mentioned fatty contents from the dark coloured elements of the cocoa bean that regular chocolate is comprised of. The process involves the adding of vanilla flavouring in some cases or the deodorizing of the cocoa butter due to its pungent natural smell. Therefore it isn’t chocolate in the traditional sense of the word and consequently does not contain antioxidants causing it to lack the nutritional value that darker hues of the sweet treat comprise. 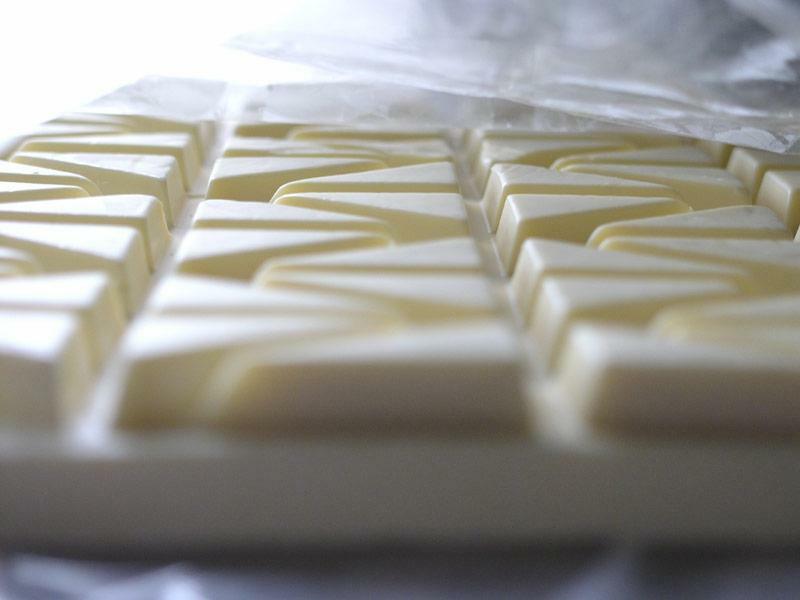 Additionally, in the United States, white chocolate can contain up to 50% in sweeteners alone and in Europe the sugar content in it isn’t regulated at all in order to compensate for the lack of natural flavouring that cocoa provides. The finished product is a light, white or ivory-coloured version of chocolate that is rich and often too decadent to enjoy in large quantities as most retailers can attest to during Easter when bunnies and other treats made of them often remain on the shelves long after the holiday has passed. Therefore it can be considered the “evil twin” primarily because it doesn’t offer any health benefits, lacks caffeine which would enable it to provide a jolt of energy and, as stated, has a high amount of sugar in it. However despite that, for those of us who like it, white chocolate is simply a smooth and wonderful-tasting version of the real thing that can be enjoyed either alone or when incorporated into a dessert. Here is a recipe for raspberry white chocolate mousse for white chocolate lovers and soon to be ones (after trying this recipe) because after all, “evil” can be good, especially when it’s in dessert form. 1)Process berries in a blender or food processor until smooth. Strain mixture into a small bowl, and discard seeds. Add the sugar and liqueur, and stir until sugar dissolves. Makes 1 cup of sauce. 2) In a heavy saucepan on low heat, warm 1/4 cup of the cream and the white chocolate, stirring constantly until chocolate melts. Let mixture cool until it is lukewarm. Stir in 1 tablespoon of raspberry sauce, and the food coloring. Transfer to a large bowl. 3)In a medium bowl, whip remaining 1 1/2 cup cream to soft peaks. Fold into melted chocolate mixture, one-third at a time, until no streaks remain. Layer into parfait dishes, and serve with the sauce. May also be used to fill or ice a cake.